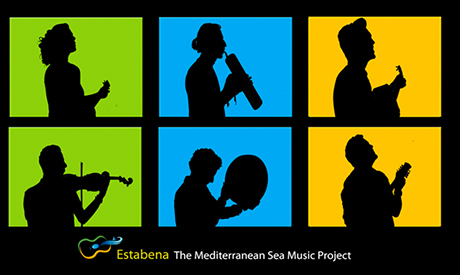 Room Art Space is hosting newly-formed band Estabena that plays folk music from the Mediterranean basin, Thursday, 7 March. Estabena, named after "an Egyptian word borrowed from Italian, meaning we agree," is formed by artists from different Mediterranean cultures and nationalities. They perform what they call "a blend of songs" from Egypt, Morocco, Algeria, Spain, France, Italy, Lebanon and Syria. The band consists of vocalists Luisa Russo and Emad Fathy, Mahmoud Mohamed (violin), George Emad (percussion), Mohamed Samy Negm (vocals and oud), Ahmed Samy (keyboards) and Chakib Ararou (vocals, guitar and oud).